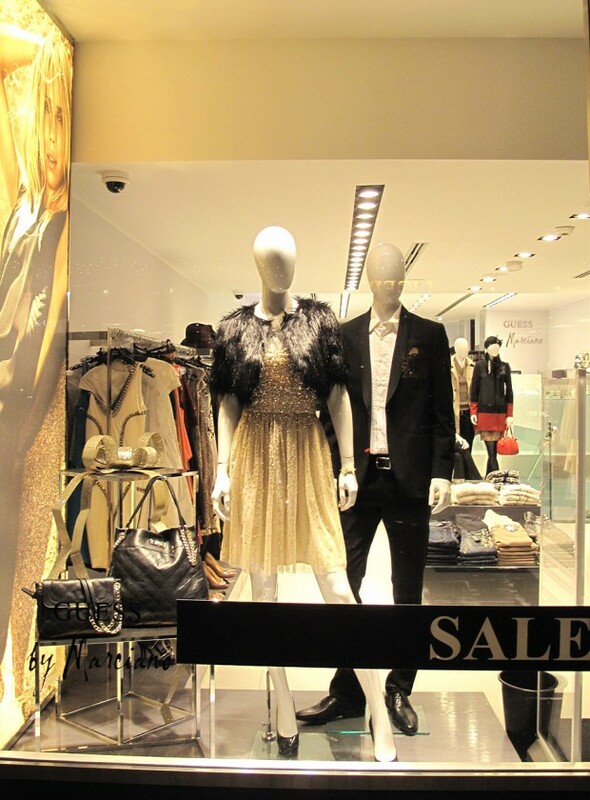 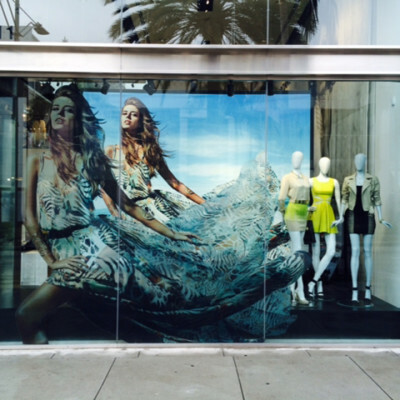 GUESS by Marciano is named after the GUESS’s CEO Paul Marciano. 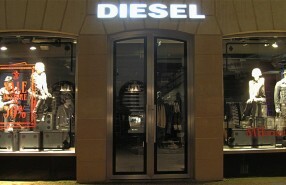 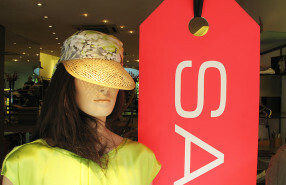 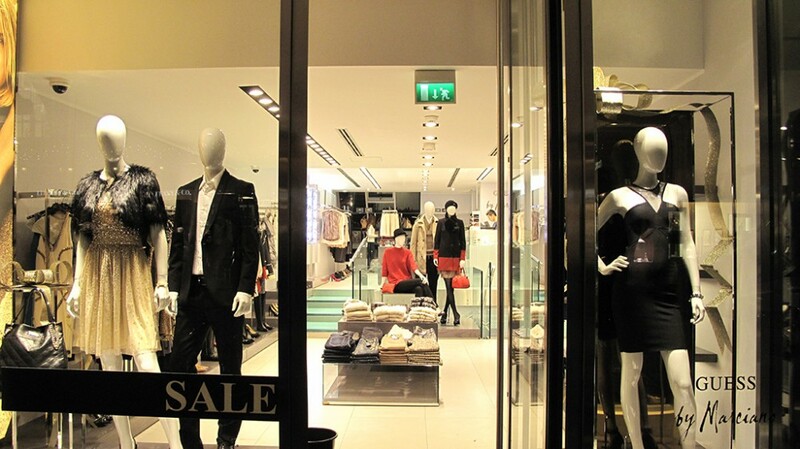 The style of the clothing brand is modern, glamorous and chic. 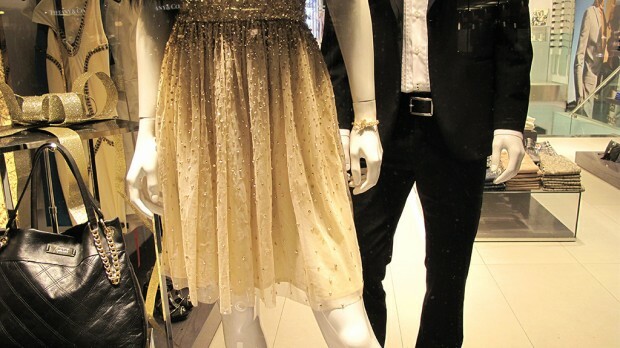 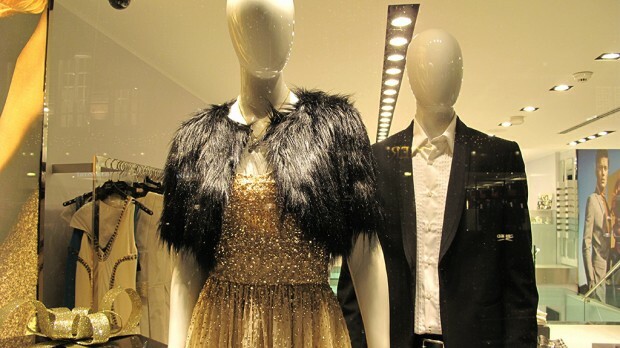 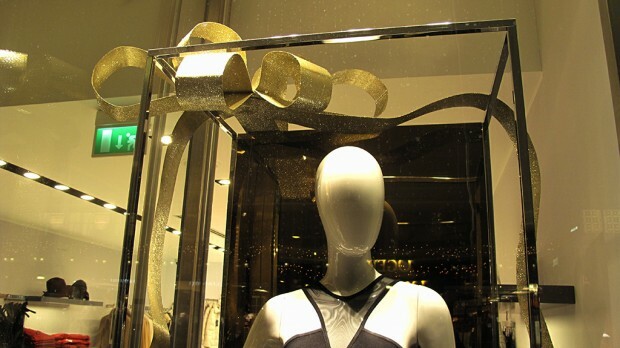 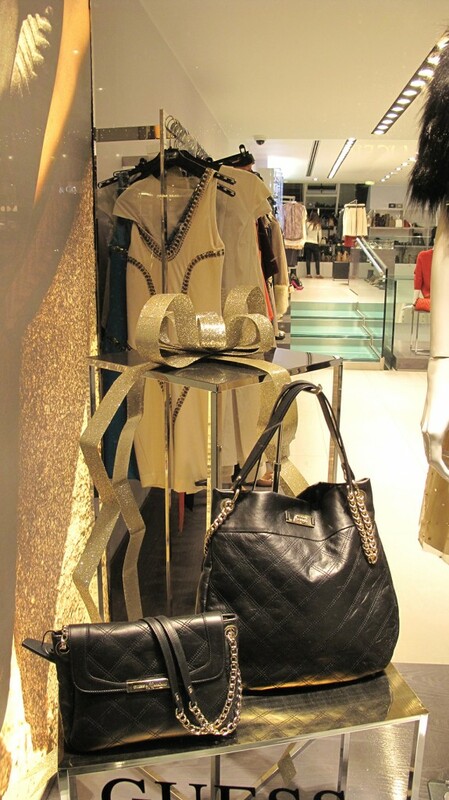 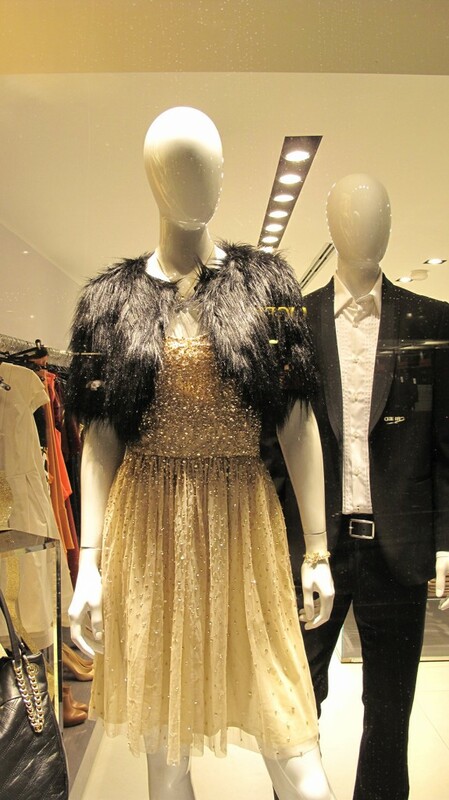 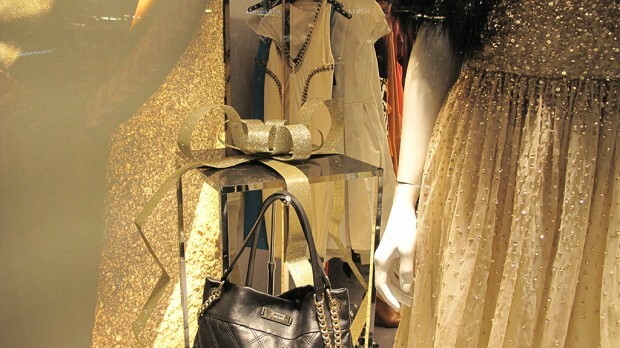 GUESS by Marciano used large golden ribbons for the Holiday Sale Window Display to make their products look like a gift.